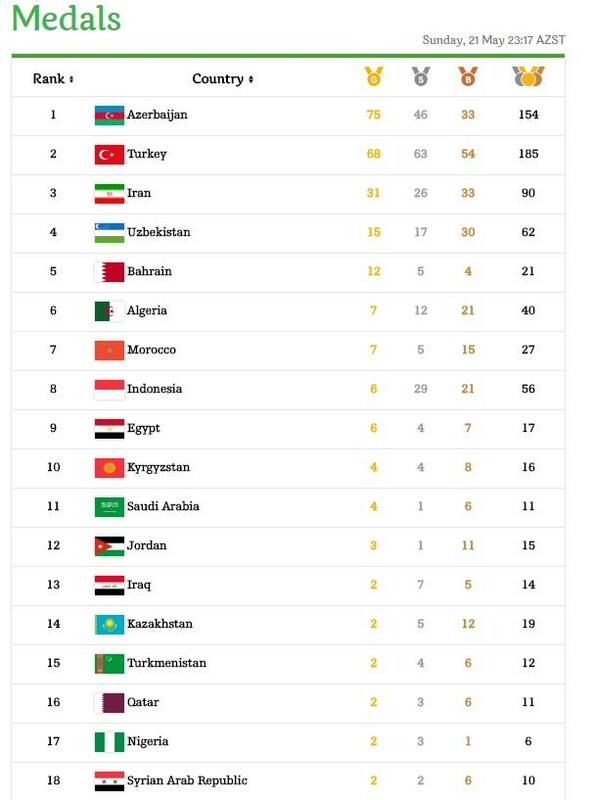 Azerbaijan took the lead in medal standings at the 4th Islamic Solidarity Games in Baku. Azerbaijani athletes won 75 gold, 46 silver and 33 bronze medals. Turkey is the second with 68 gold medals, 63 silver and 54 bronze medals. Iran is the third with 31 gold, 26 silver and 33 bronze medals. The Baku 2017 Islamic Solidarity Games started May 8 and will last until May 22 in Azerbaijan’s capital.